On the heels of the greatest muffins in the world, I’ve created a version that will please any brunch guest! Just an adjustment of ingredients creates this fantastically posh breakfast that won’t kill your diet. 3. Pour 1/2 batter into the pan – cook about 60 seconds, FLIP then cook the other side 60 seconds more. 4. Place on a plate and cover with foil while you make the second crepe. 5. 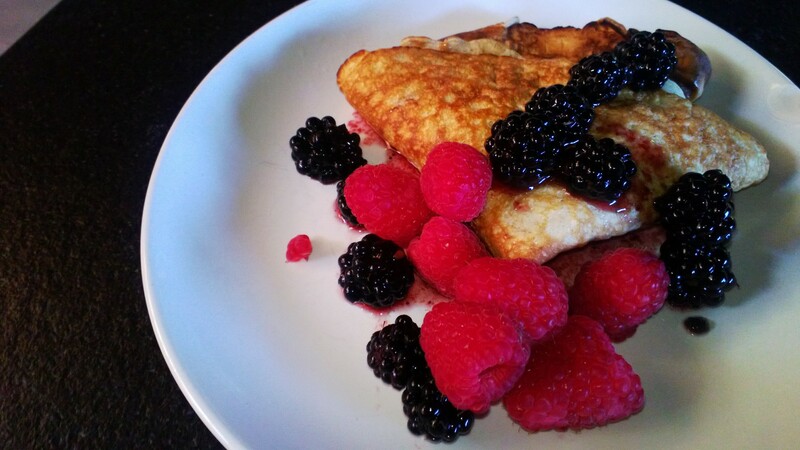 When both are done, top with fresh berries, almond butter if desired. This entry was posted on August 26, 2013 by Samara (The Gym Coach & National NPC Competitor in Food and Diet.